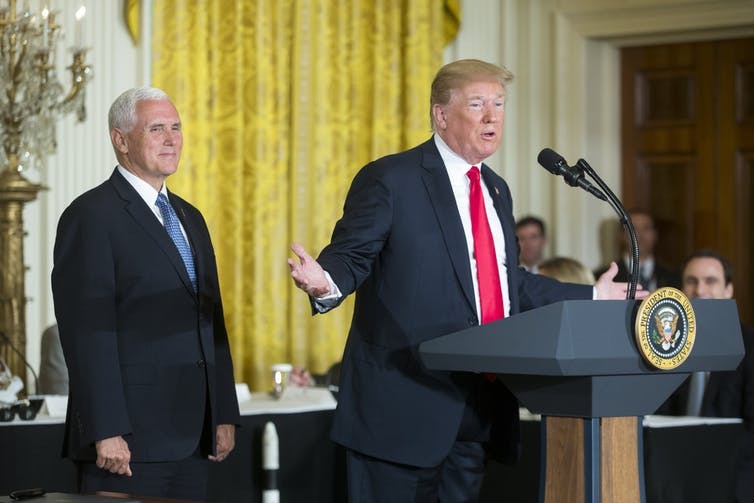 25 Jun 2018 – In a recent speech, President Donald Trump announced a new policy for the American space programme. It is time, he argued, for America to create a “Space Force”. As ever, the policy announcement was full of glittering ideas but short on detail, largely unspecific and even inaccurate. What we do know is that this would be a new and separate military command, “equal” to the American Airforce. But like much of Trumpian vision, superlative expressions shroud reality and do great injustice to the serious issues at stake. We should all be concerned by the prospect of the nuclearisation and militarisation of outer space. It is crucial for world, and perhaps even intergalactic, peace that the legality of his plans are subject to the fiercest domestic and international scrutiny. At the moment it is unclear how they could possible fit in with existing international legal frameworks. America has hardly ever disguised its view of space as an extension of military power. The US already has an Air Force Space Command, created by Ronald Reagan in 1982, which is dedicated to using space-based assets to aid its flights, fights, and to win in air, space and cyberspace. Reagan also introduced the “Star Wars” programme and George W. Bush unsuccessfully tried to resurrect it through the Son of Star Wars project. Both were touted as futuristic space-based ballistic missile interceptor programmes. But aside from the fact that they were technically impossible at the time, they also constituted a frontal assault on a previous anti-ballistic missile treaty between the US and the Soviet Union. Trump’s most recent vision is actually a rehash of existing programmes. The idea of creating a new branch of the military called the “Space Corp” was already in the 2017 National Defence Authorisation Act, which emerged from discussions long predating the current administration. But in the end the plans were dropped because congressional negotiators refused to fund them. And America is not alone in the quest for a military presence in space. All modern armies rely on space-based applications, such as satellites, and jostle for military advantages in space. Although, military uses of technologies in space may be more useful for domestic conflicts where large swathes of territory fall under terrorist control, such as the Sambisa forest in northern Nigeria, where Boko Haram operates. China and Russia have space militarisation programmes of their own, much of which take place out of sight. Recently, China attracted suspicion by shooting down one of its own satellites. But certain aspects of Trump’s recent policy announcement should raise serious alarm. Trump said: “It is not enough to have American presence in space we must have American dominance.” This deviates dangerously from the historical and legal norm. To ensure America’s security interests is one thing. To dominate outer space is another. The former is a legitimate aspiration of any independent state. The latter has already elicited the promise of a “tough response” from Russia. The world accepts the military use of outer space. But it does not accept the unbridled militarisation of space. The moon and other celestial bodies, according to the 1967 UN Space Treaty, must be used exclusively for peaceful purposes. The establishment of military bases, installations and fortifications, the testing of any type of weapons and the conduct of military manoeuvres on celestial bodies including asteroids is forbidden. The UN demands that the exploration and use of outer space should be carried out for the benefit and in the interest of all countries. There is a complete ban on placing nuclear weapons and weapons of mass destruction in outer space or around the atmosphere of the earth. Other leading space treaties ban the placement of alternative weapons of mass destruction in space. But there is a loophole in that they do not specifically prevent placement of other types of weapons in space. Right now, a new treaty has been proposed to prevent an arms race in space. But the US, with its large missile defence programme and the technical advantages in potential space weaponry, has refused to enter into discussion over this new treaty. If a space arms race can’t be prevented, there could be a total disruption of the agreed law that outer space is the common heritage of all humankind. Past stories of mankind’s endeavours in outer space are centred on the theme of scientific brotherhood. In 1959, the UN General Assembly established the Committee on the Peaceful Uses of Outer Space. By 1975, American and Soviet spacecraft docked together in orbit as part of the Apollo–Soyuz Test Project (ASTP), the world’s first international crewed space mission. Since 2005 there has been a well-respected agreement of cooperation between China and the UK. China’s technological co-operation with Europe puts “science and technology diplomacy” over traditional “economic diplomacy”. China owns up to 5% investment in the European Galileo observation satellite network project. 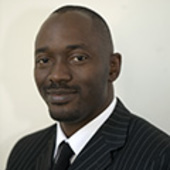 And Britain and African states such as Nigeria also cooperate in space. We should try our utmost to make sure the future carries on this tradition. The cooperation of humankind in space exploration, which exists in every aspect of space science, space law, space economics and policy must not be sacrificed because of Trump’s dangerous ideas. Republish The Conversation articles for free, online or in print, under Creative Commons license. Will 5G Cell Phone Technology Lead to Dramatic Population Reduction as Large Numbers of Men Become Sterile?